The great ancient African civilizations once stood at the summit of human enterprise; some of Africa’s best cultures displayed in bright colors the beauty of the human spirit. That history, in spite of the frustrations of the moment, gives us hope that a remarkable future is possible. Indeed all things are possible when we master The Mirror Principle. Perception is paramount. It is still common for one to ask what the mention of Africa conjures in the minds of many who live outside Africa, and the answer is poverty, war, disease, and flies. That notion will change, and indeed many bright minds are beginning to emerge across the breadth of the continent. These persons have proven themselves to be masters of The Mirror Principle. When Africa takes her place at the table, as a leader, and as the nation of prosperity, hope, and good fortune, it will be because more people recognized and took advantage of The Mirror Principle. The greatest changes in the history of the world have been started by a small group; not by whole nations; not by thousands; not even by hundreds. The great events that signaled turning points in human history have always begun with the thoughts of a small group of persons. In some cases, it started from a single person. A nation may quietly yearn for a certain dispensation, but it only takes one person or a small group of persons to bring these thoughts into life. The great nations of today all seem to have embodied the same principles on their way to achieving greatness. It usually begins with a major challenge facing the nation. This challenge creates a stream of thought. A core group of persons believe in this thought and they promote this thought. Sooner or later, that which started off as a little spark spreads through the nation. Soon the majority of the people are in agreement to that thought. The nation begins to aspire towards a new cause; they see a new image. Soon the nation takes a new direction. This is The Mirror Principle at work. Whether the direction brings the country to fulfillment is a totally different story. If we look at the nations that have been successful, they have achieved success by first understanding their potentials. They studied their citizens and recognized their abilities. They looked within themselves and discovered their national resources. They looked back at their past and honored their history. With potential understood, these nations proceeded to carving out an image for themselves. They closed their eyes to their present circumstances, and they created a vision of the nation they wanted to become. They understood the power of sensory perception, and they flooded the hearts of their citizens with this vision. Their national ideology became a rallying point. As a final step, they got everyone working together. They promoted unity. They used the power of vision to forge oneness of mind. As we have stated on many occasions, it is impossible to contain a united force of people; who have potential and are persuaded about their potential. The civilizations of old were all built on The Mirror Principle. Sadly, when these civilizations crumbled, they fell because of The Mirror Principle. To sustain national success a nation has to master the art of staying on the right side of The Mirror Principle. Further exploration into Africa’s Seed and Growth. Further exploration into Africa’s Mirror. Further exploration into the Mind of Africa. 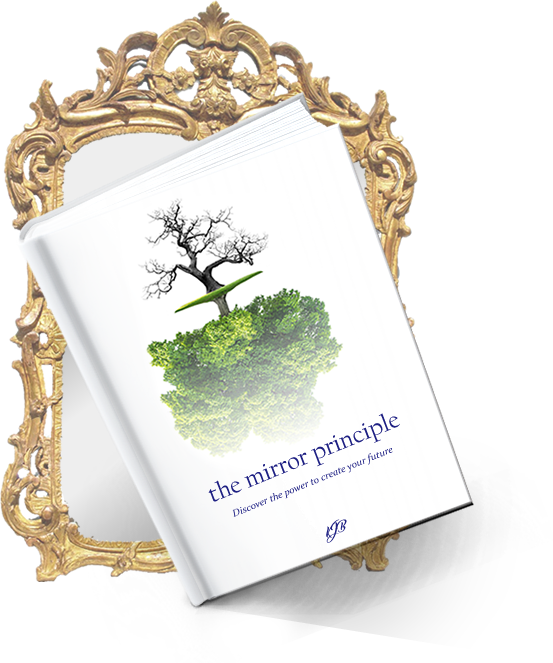 Africa and The Mirror Principle project.